Nokia has decided that the best way to sell off a backlog of C7 handsets is to dip them in gold, slap them with a price tag of €800 (£695) and call it the Nokia Oro (Italian for gold apparently). The C7, is a decent phone hardware-wise but its downfall was the Symbian OS housed inside – though the Oro will have the updated Symbian Anna out of the box (which isn’t gold-plated by the way). 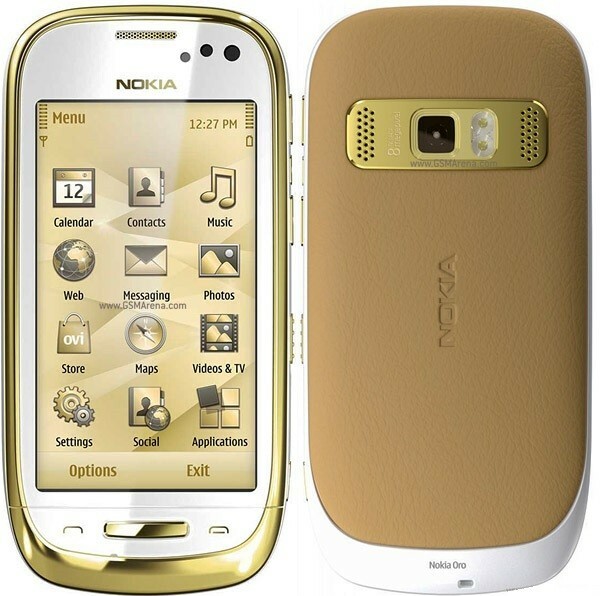 However Nokia has now decided that all it needs to do to sell the surplus phones is bling them up a little. One of the markets Nokia seems to be targeting with these ostentatious handsets is Russia, home of the oligarch. "We have a large number of users who are looking for products with a build quality and superior materials that attest to their success and social standing. In some areas, possession of such premium products is the passport to being taken seriously," so said Nokia's Gabriel Speratti, General Manager for its operations the former USSR.